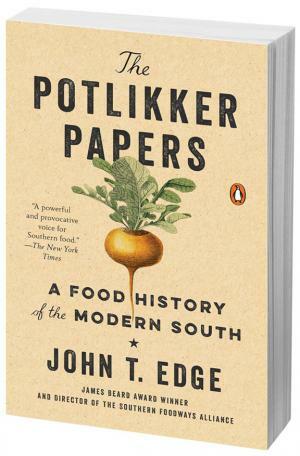 The Potlikker Papersby John T. Edge, its title a subtle reference to the Pentagon Papers, is a revealing portrait of the history of the American South as told through food and all the connections to food – from agriculture and those who grow the crops to those who cook it, its consumers, and the various characters who embody the essence of Southern culinary culture. If you thought you knew the South and its food, you will, indeed, read it with familiarity. But you will also learn a lot about the history, politics, and culture that you didn’t know and be introduced to some remarkable people whom you’ve probably never heard of before. Throughout the book is the recurring theme of “farm fresh” and “farm to table,” asserting that naturally grown produce tastes far better when cooked fresh, and is more nutritious, than industrially processed products. Themes of race and class are an integral part of the development and perpetuation of southern cuisine. Edge begins his culinary journey in 1955 with the pivotal role that southern black cooks played in the civil rights movement, fueling the Montgomery bus boycott and other landmark events. Restaurants were also battlegrounds during the civil rights movement. Access to food and ownership of traditions were key contentions on the long and fitful march toward racial equality. “Decade by decade, food narratives illumine history. On the long march to equality, struggles over food reflected and affected change across the region and around the nation,” Edge writes. “Landed Hippies” tells the story of how the farm ethic, the back to the land movement, took shape and led to establishment of The Farm on the Cumberland Ridge in south central Tennessee. The story of Edna Lewis is a triumphant tale of how the descendants of a slave “conjured a rich and varied place where black farmers controlled their own destiny and agriculture was not demeaning work that shackled black Southerners,” as Edge describes. In “Poor Power,” you may be brought to tears, as was Robert F. Kennedy, who saw first-hand the crisis of poverty in the midst of plenty in the southern U.S. Edge also shows, without condemnation, the viewpoint of the white politicians who opposed poverty programs. So many of those politicians’ inaccurate rationalizations about poverty echo across the decades. Of course, no treatise on southern cooking could omit fried chicken. Edge accounts the rise of Colonel Sanders’ Kentucky Fried Chicken, and other offshoots, that mark a transition to establishing an array of fast food restaurants, including Ray Kroc and the McDonald brothers, Hardees, Wendys and others. You’ll read about the nationally renowned chefs of Louisiana and the Delta; the Jimmy Carter peanut era; and how Bill Neal’s signature dish, shrimp and grits merited national acclaim. In “Pits and Pitmasters” it’s the story of barbeque, with mentions of Leonard’s Pit Barbecue in Memphis and Charlie Vergos with his famous “dry rub” barbeque. 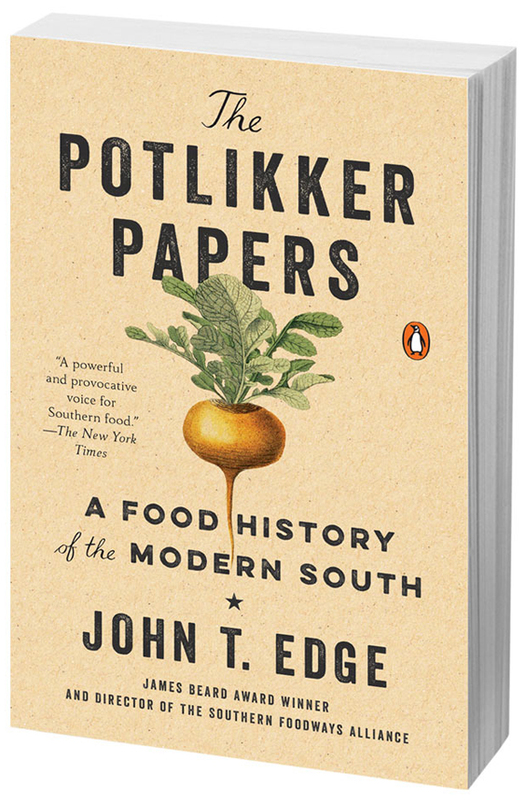 He traces how the food of working class Southerners has become a signature of American cuisine, and concludes in 2015 as a “New South” came into focus, enriched by the arrival of immigrants from Mexico, Vietnam, and many points in between.